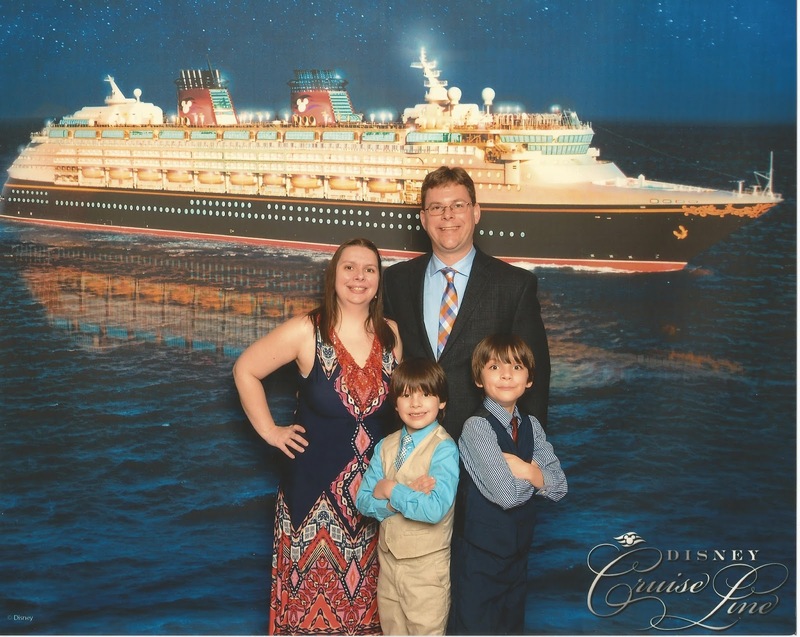 Midwest Family Food and Fun: We Love Disney Cruise Line! We Love Disney Cruise Line! We love all things Disney. It's in our blood. I remember how special my first trip to Walt Disney World was as a child. Stepping into Magic Kingdom and seeing Cinderella Castle for the first time was indeed a magical and life changing experience. Having such great memories, I started indoctrinating my children to Disney early on in life. Well in truth, they were probably still in the womb. From the rides to the resorts and everything in between, it's the best. In fact, I didn't think I could find anything better than a trip to Walt Disney World. Then we were introduced to Disney Cruise Line and took our first cruise in 2012. Now we're hooked on the best vacations ever on Disney Cruise Line! Disney Cruise Line has everything my family looks for in a vacation. We get a chance to be adventurous and explore new and sometimes far away and exotic places. We do this all while experiencing the first class service for which Disney is known. From the minute we board the ship and we hear the words "Disney Cruise Line welcomes the Novak Family," we feel at home. Be it the food, entertainment, character meet and greets (even Santa Claus on select Very Merrytime Cruises), and all the other amazing amenities, it is truly a vacation for everyone. I am a stay-at-home mom that also home schools. I spend a lot, and I mean a lot, of time with my children. I am blessed to have this time, and I wouldn't change it for the world, but Disney Cruise Line makes it guilt free to take a little me time. I know my children will love spending time in the Youth Clubs (for their ages Disney's Oceaneer Club and Disney's Oceaneer Lab) while I read a book on the deck and relax or get an adult beverage (I suggest the drink of the day- always delicious and a fabulous deal) and enjoy it poolside. Then we can all get changed for dinner in one of the Main Dining Rooms. The rotational dining is fabulous, allowing you to explore a different dinning room and menu every night while having the comfort and convenience of a wait staff that travels with you and gets to know your family's wants and needs. This is especially nice when, like us, you travel with a child with sensory issues and likes things a certain way. We have sailed four times with Disney Cruise Line. 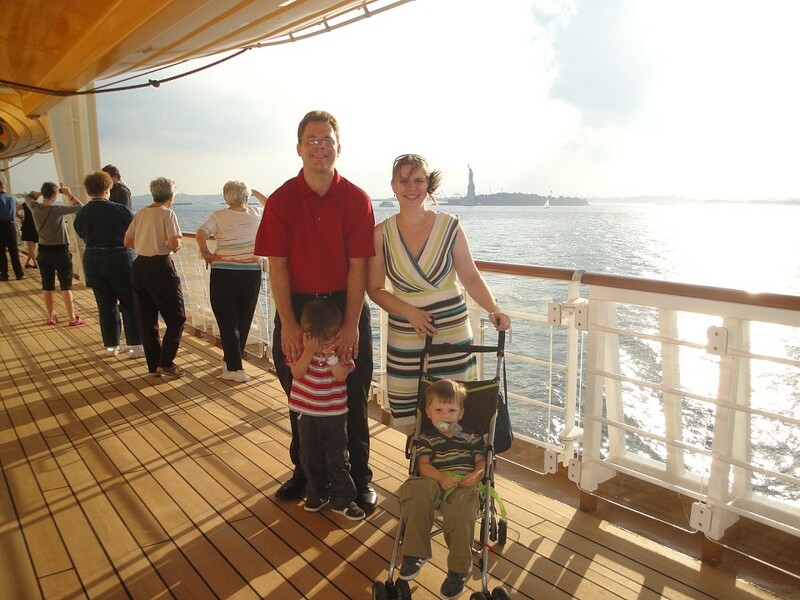 We experienced one of the first Disney Cruises out of New York City to the Canadian Coast. There is something special about cruising past the Statue of Liberty. 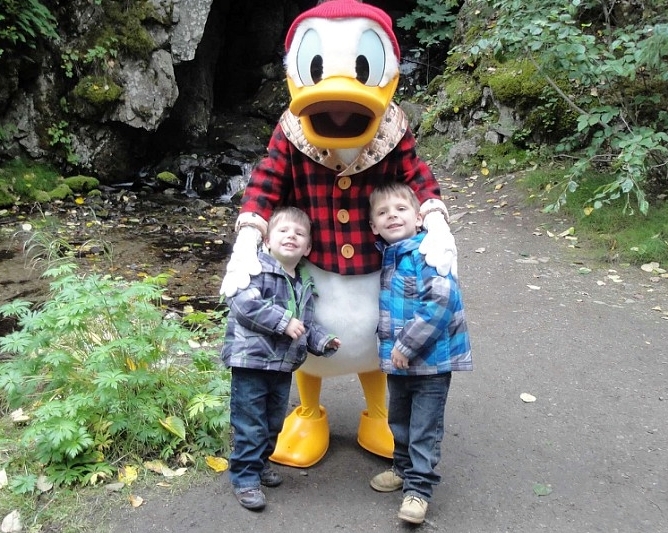 We have sailed to Alaska and panned for gold with Donald Duck. Who ever gets to do that? We did thanks to Disney Cruise Line! We've sailed to the Eastern Caribbean and stopped at Disney's private island, Castaway Cay. And most recently, we traveled to San Juan, Puerto Rico for a simply magical cruise through the Southern Caribbean, where we got up close and personal with monkeys in Barbados! We've had so many memorable experiences while sailing on Disney Cruise Line, there are too many to count and list. We are in the process of planning our next Disney Cruise. We are almost locked in on a six night cruise out of New York City to San Juan, Puerto Rico in November 2018. It sets sail the Saturday after Thanksgiving so we could even see the Macy's Thanksgiving Day Parade. How cool is that! Another probably once in a lifetime opportunity! So I hope we inspired you to take a peek at Disney Cruise Line when planning your next vacation. Planning future cruises just got a little more exciting with the announcement at D23 that Disney Cruise Line is planning not two (as previously announced), but three new ships in the next phase of expansion by 2023. Click here to read more. Amazing! We can't wait to see what magical experiences these new ships have to hold! Until then if you want to see more of our last family adventure on Disney Cruise Line to the Southern Caribbean, the video is above. Hope you enjoy! Let us know your thoughts about and experiences with Disney Cruise Line. We'd love to hear about your adventures! I've never been on a Disney Cruise, but I'm sure my family would love the experience! We enjoyed Disney World, and this sounds awesome too. Thanks so much for stopping by! I checked out your site as well. Great job! Have fun planning your next Disney Vacation. I hope you stop back here soon. I plan on posting more tips and tricks about DCL in the next weeks to come.